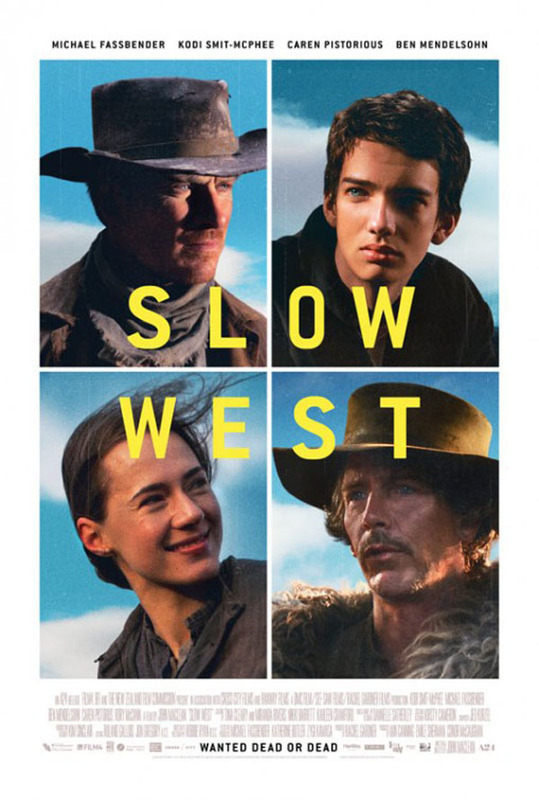 Since the classic silent epic The Covered Wagon in 1923, some western stories have been based in the American movement westward that began in earnest on the Oregon Trail in the 1840s. 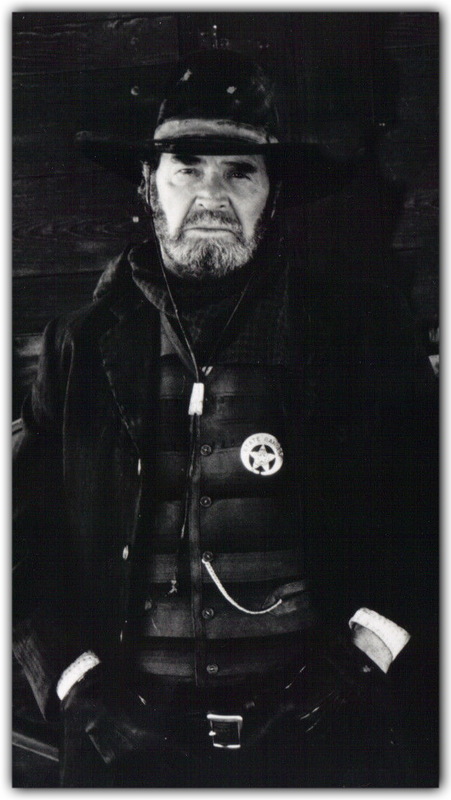 With the fading of the fur trade, some mountain men became scouts for wagon trains (Kit Carson, The Way West). Groups like the Mormons (Brigham Young, Bad Bascomb, Wagon Master) had their own epics of western movement during the wagon train era. Indeed, director James Cruze of The Covered Wagon, was the son of such Mormon emigrants. 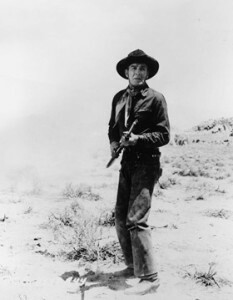 At their peak in the 1940s, wagon train westerns were, like technological westerns, another way to express the nation’s progress toward its triumphant Manifest Destiny, although sometimes the wagon train was in reverse (Virginia City, The Outriders). 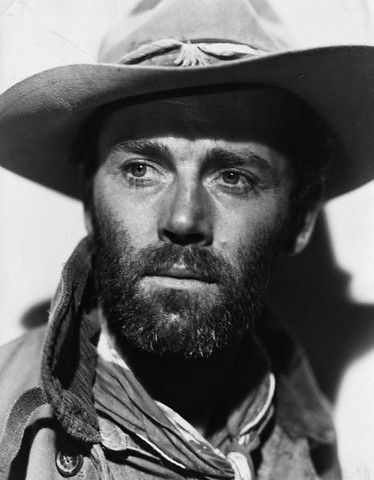 The biggest names among directors of westerns have done wagon train westerns (John Ford, Anthony Mann, Howard Hawks, Raoul Walsh et al.). 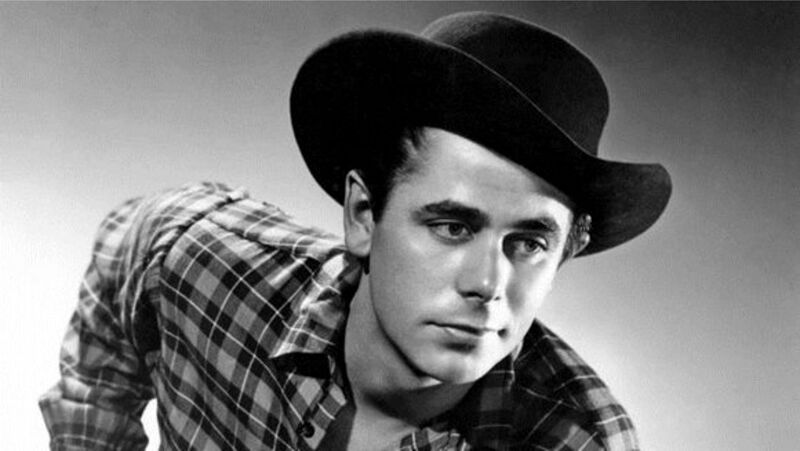 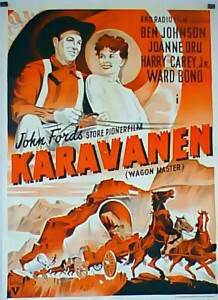 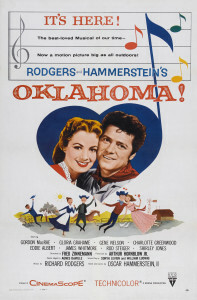 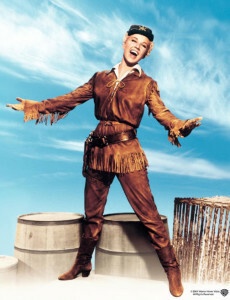 Although it featured less star power in its cast than most Ford westerns, Ford’s own favorite among his movies was said to be 1950’s Wagon Master. 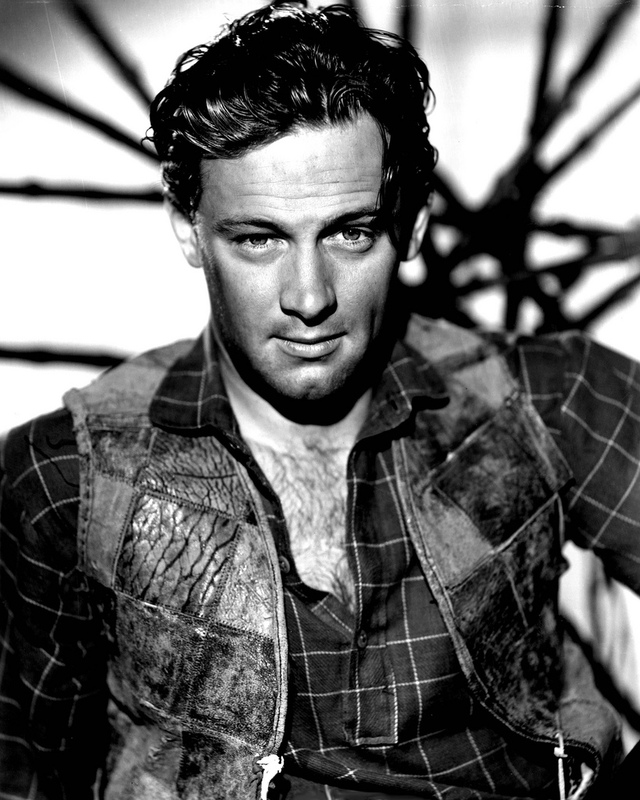 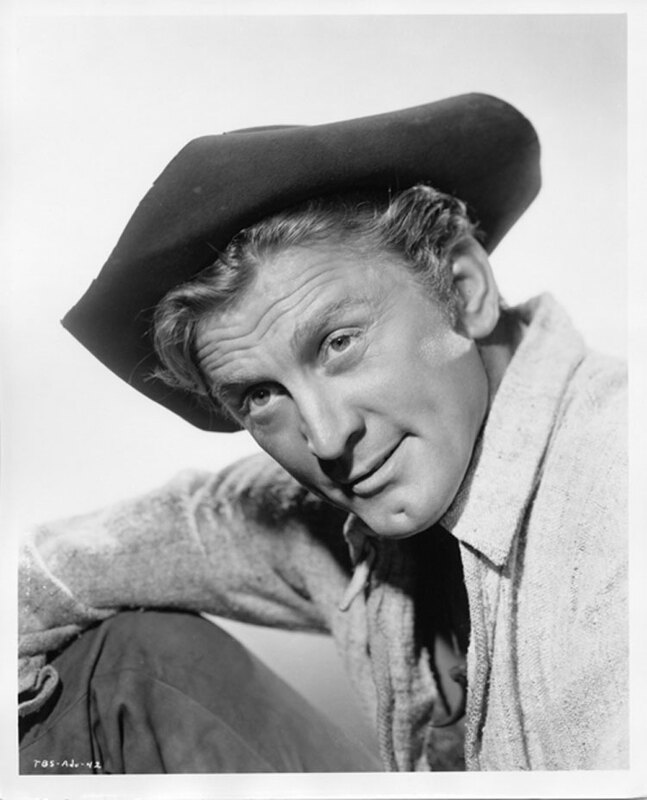 Most of the biggest stars in westerns did a wagon train at one time or another: see a very young John Wayne in The Big Trail (1930), a young and skinny Gary Cooper in Fighting Caravans (1931), James Stewart in Bend of the River (1952), and Kirk Douglas, Robert Mitchum and Richard Widmark in The Way West (1967), for example. 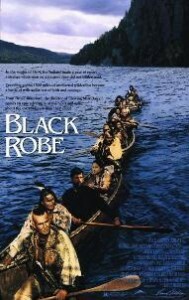 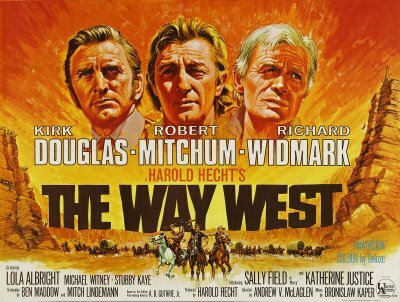 As the glow of Manifest Destiny faded during the Vietnam era, there were consequences for the western as well as for movies generally. 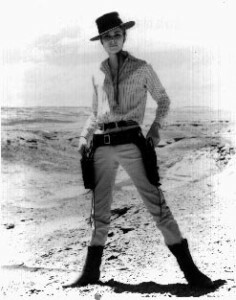 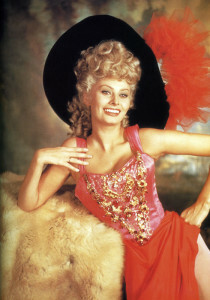 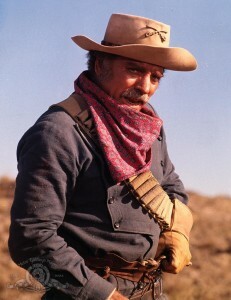 Although there were efforts to recast westerns in revisionist ways during the 1970s, their popularity as a genre was fading. 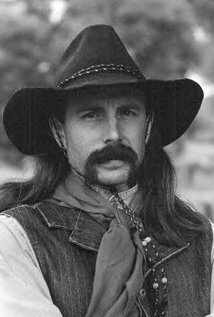 One casualty was the cavalry western, which waned with the decreasing popularity of the military in society, especially among the young. 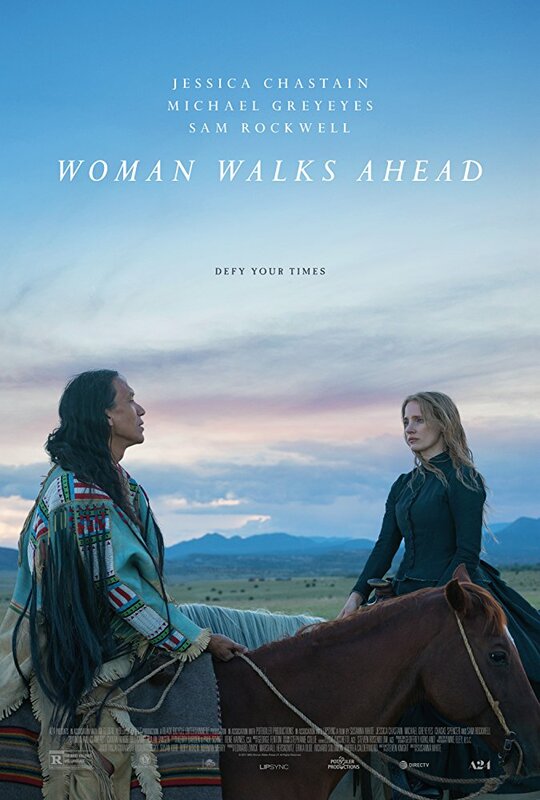 Another was the wagon train western, as Americans rethought Manifest Destiny generally and the treatment of the Indians specifically. 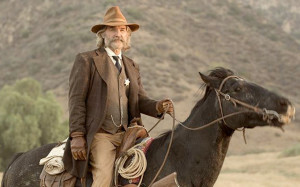 The list below includes the most prominent westerns that feature wagon trains, although some of them (such as Red River and Silverado) may have wagon train sequences and not be primarily wagon train westerns. (Red River, for example, is primarily a cattle drive western.) 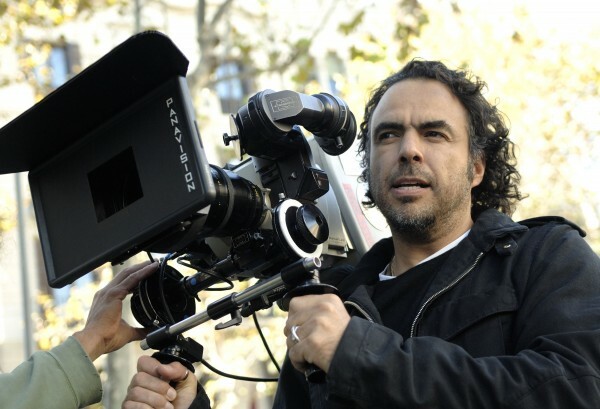 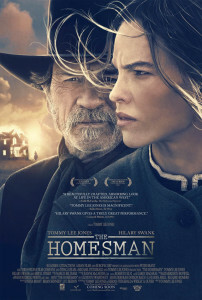 The best movies among them are indicated with an asterisk (*). 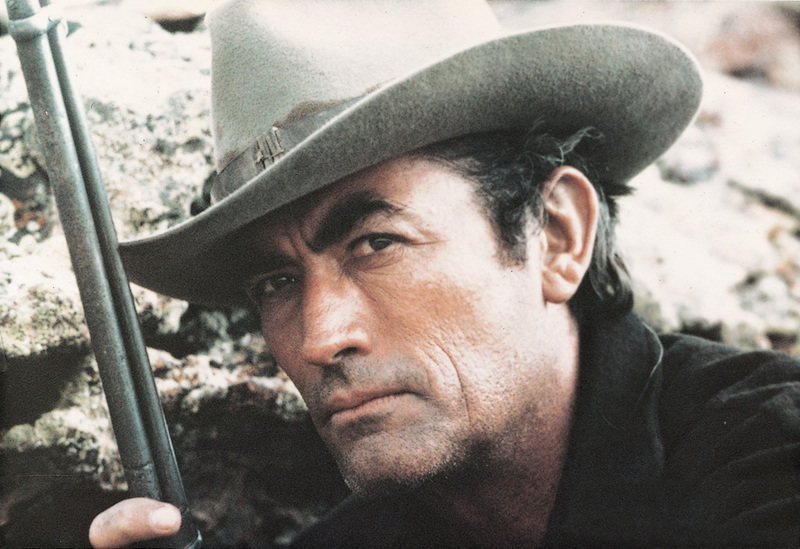 Any proposals for additions to the list are welcome. 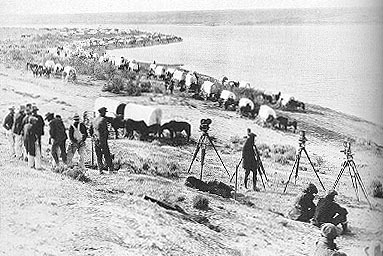 Filming The Covered Wagon in Utah,1923. *The Covered Wagon (1923; Dir: James Cruze). 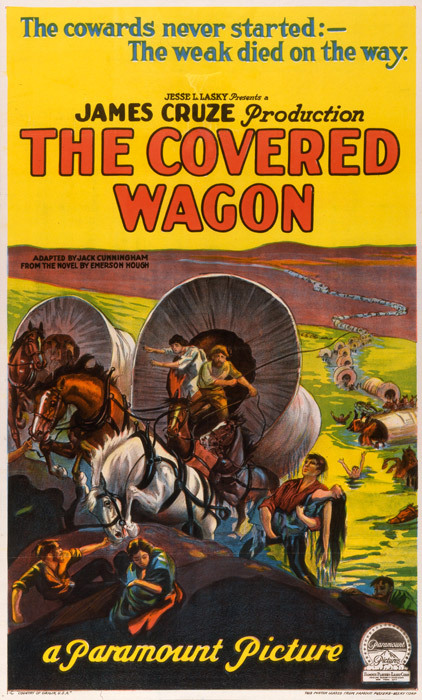 In the year of The Covered Wagon‘s release, only fifty westerns were made. 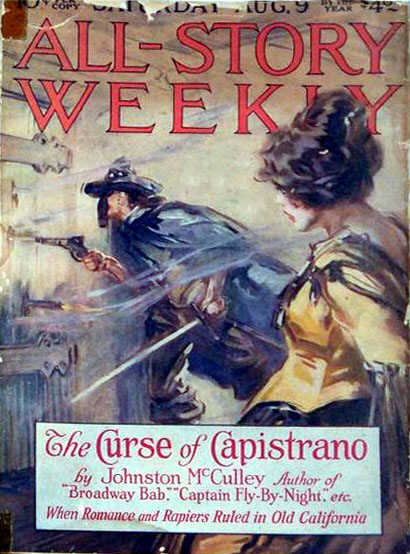 The next year, there were three times as many. 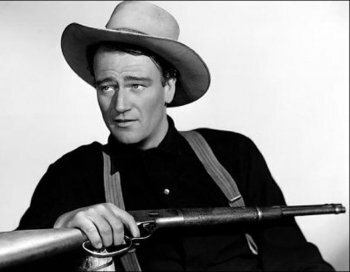 *The Big Trail—John Wayne (1930; Dir: Raoul Walsh). 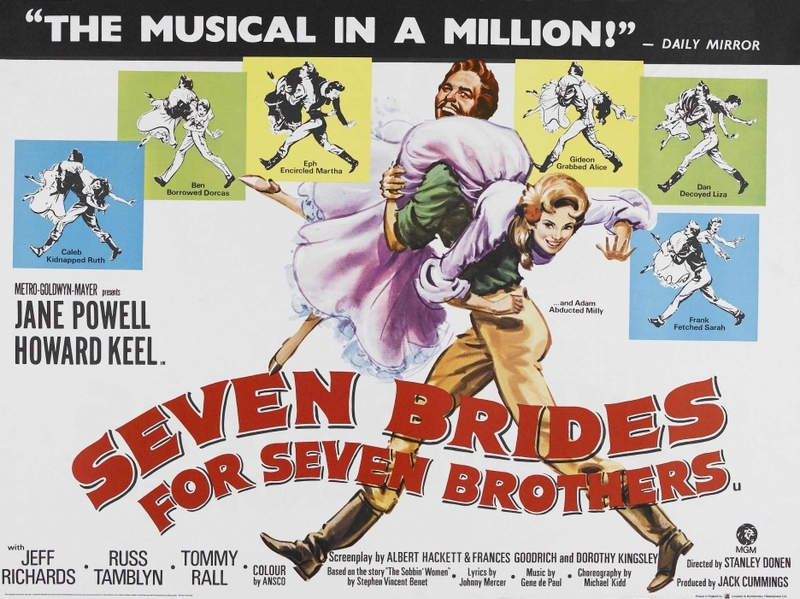 An epic experiment in 70 mm. that was supposed to be young John Wayne’s breakthrough as a star. 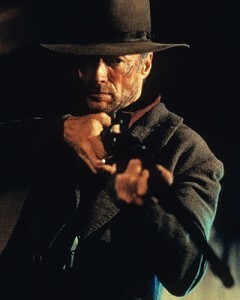 He had to wait for Stagecoach, almost ten years later. 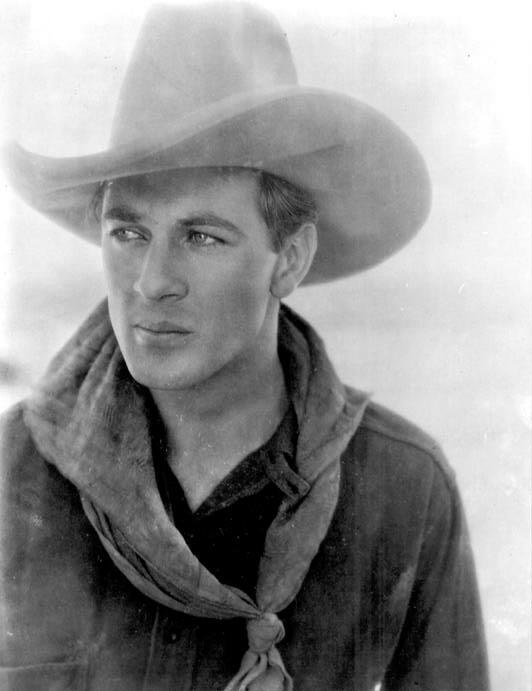 Fighting Caravans—Gary Cooper (1931). 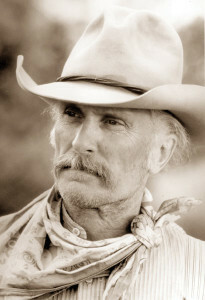 Cooper stars as a wagon train scout in a Zane Grey story, leading a wagon train from Independence, Missouri, to Sacramento. They seem strangely to be hounded by Kiowas most of the way across, although Kiowas were generally far to the south of their trail west. 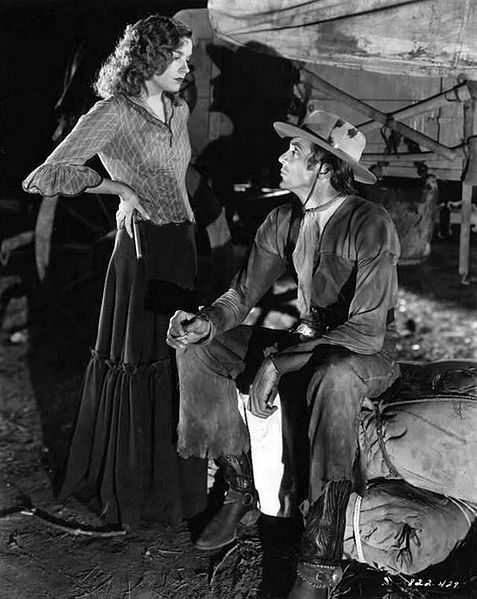 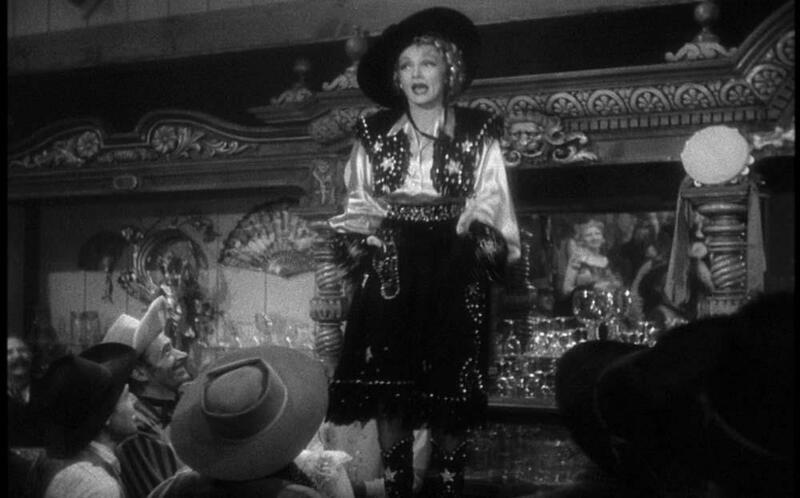 Wagon Wheels–Randolph Scott (1934). 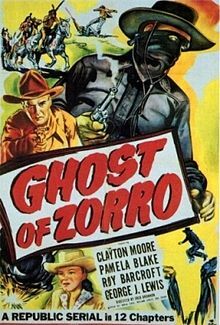 A low-budget remake of Fighting Caravans with Randolph Scott in the Gary Cooper role, using extensive stock footage from the earlier film. 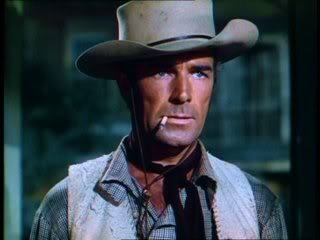 *Virginia City—Errol Flynn, Randolph Scott, Humphrey Bogart (1940; Dir: Michael Curtiz). 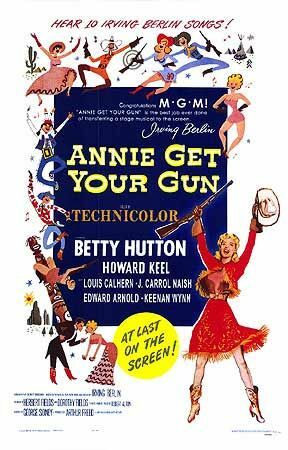 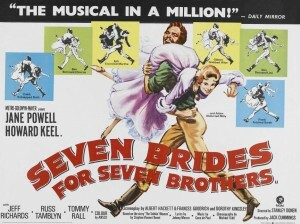 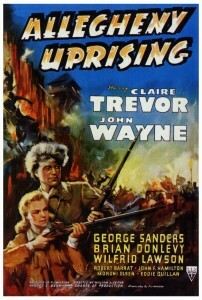 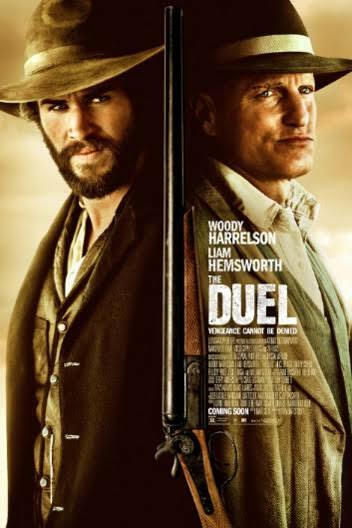 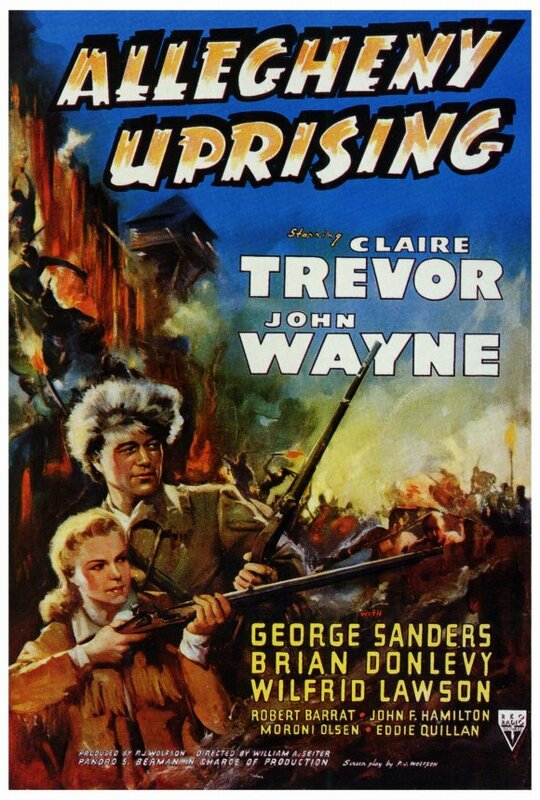 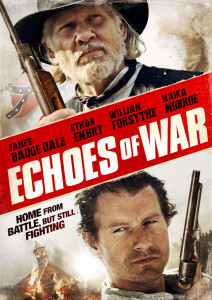 Primarily a story of Union vs. Confederate partisans out west, with Flynn as the primary Union spy and Randolph Scott as the Confederate leader. 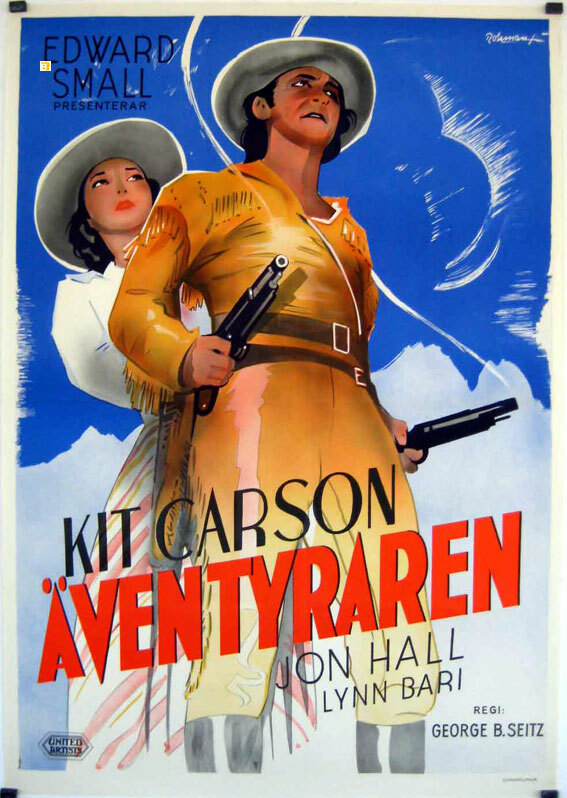 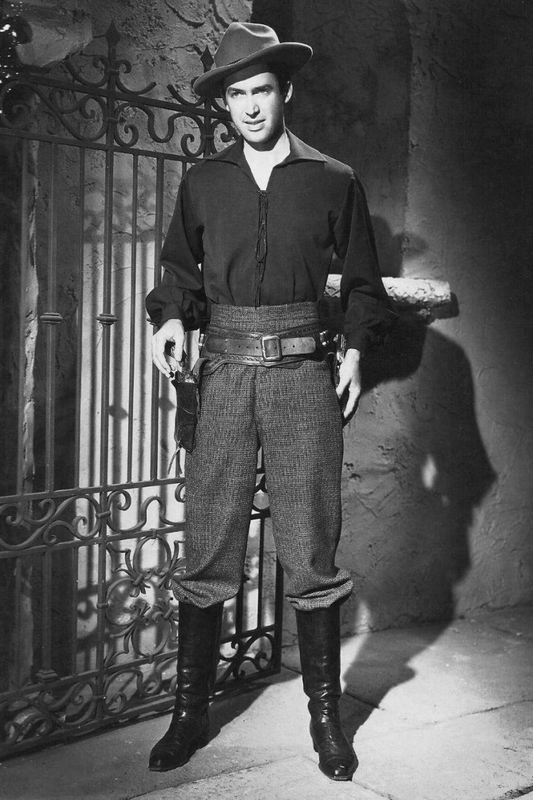 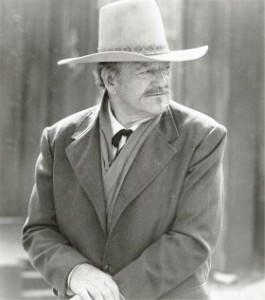 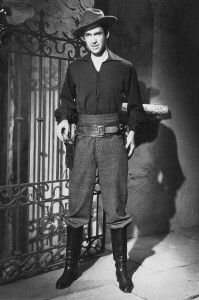 Kit Carson (1940). 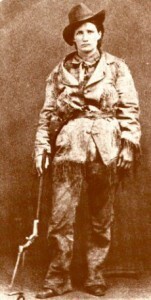 John Hall as the legendary and highly fictionalized mountain man and pathfinder, leading a wagon train to California during the 1840s. 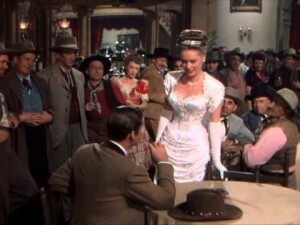 Brigham Young—Tyrone Power, Linda Darnell (1940; Dir: Henry Hathaway). 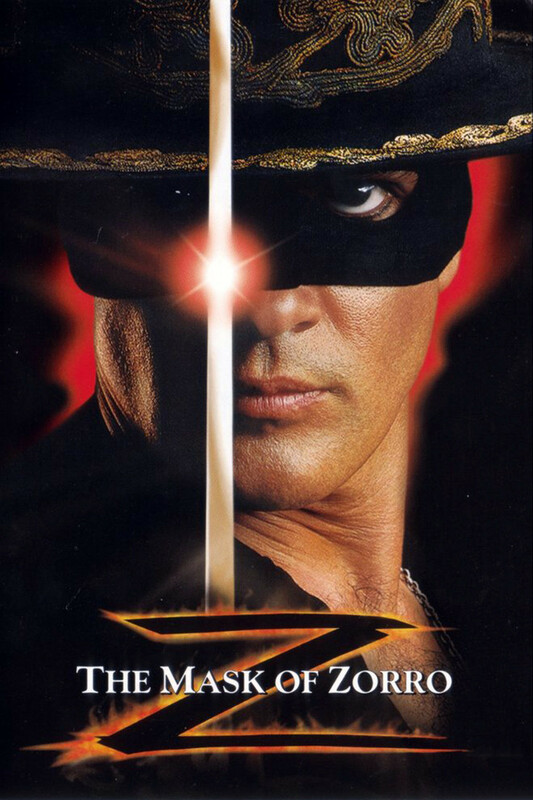 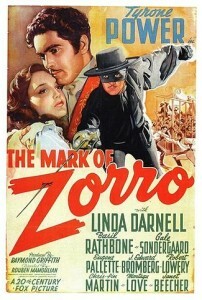 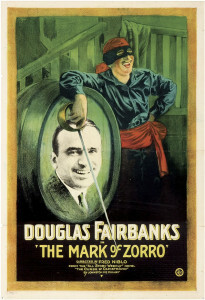 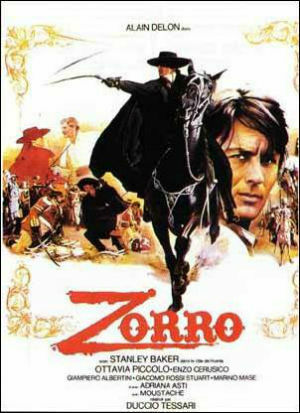 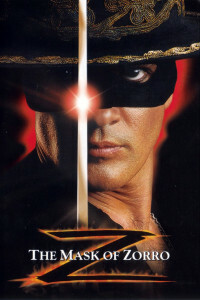 The young lovers from The Mark of Zorro are back as young Mormon lovers led by Dean Jagger in the title role. 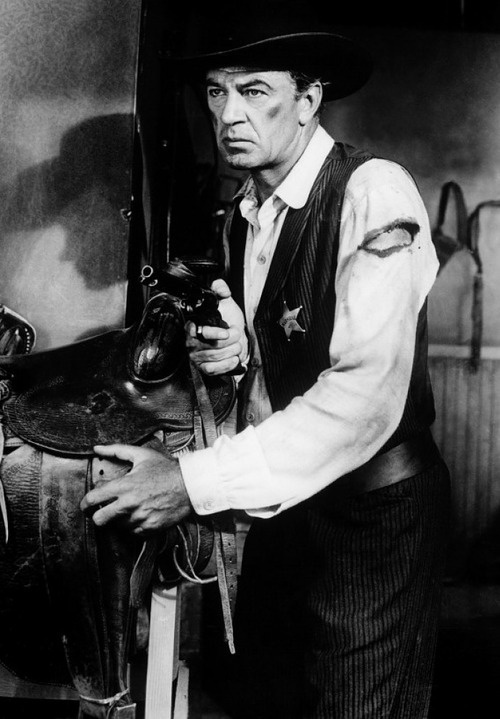 Bad Bascomb—Wallace Beery (1946). Outlaw Zeke Bascomb (Wallace Beery) hides out as a guide to a wagon train of Mormons, only to be brought to the good side by young child Margaret O’Brien and her grandmother Marjorie Main. 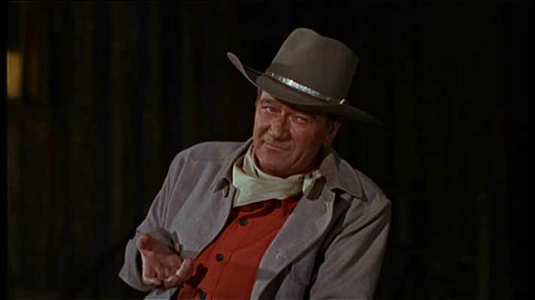 *Red River—John Wayne (1948; Dir: Howard Hawks). John Wayne heads to Texas on a wagon train in 1851. When he leaves the train and heads south, he loses his love to Comanches and never entirely recovers from that. 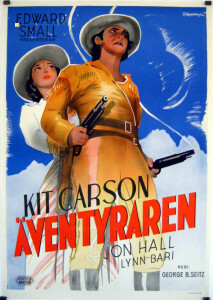 A Swedish Kit Carson, and a German Wagon Master. 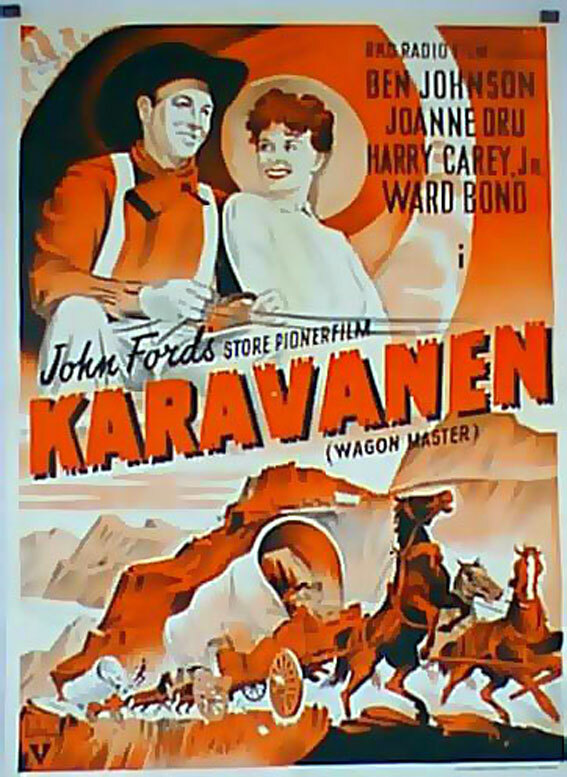 *Wagon Master—Ward Bond, Joanne Dru (1950; Dir: John Ford). 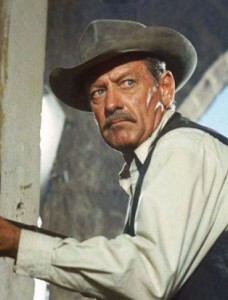 Mormons led by Ward Bond get Ben Johnson and Harry Carey, Jr. to guide them through obstacles such as rough trails, raiding Indians, seductive medicine show women and an outlaw clan. 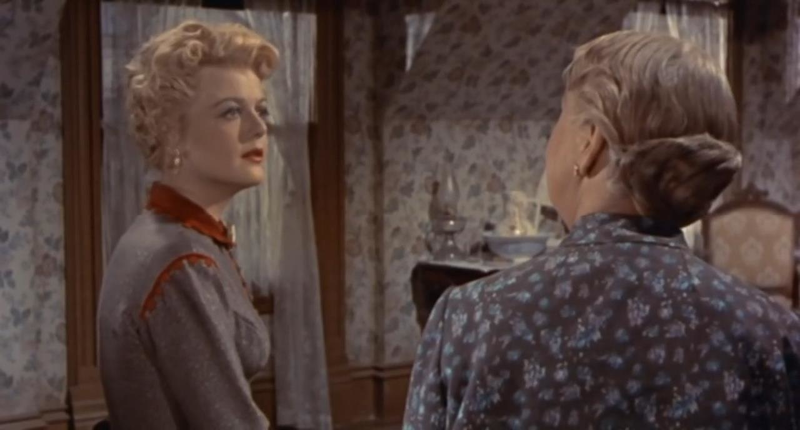 The Outriders—Joel McCrea (1950). 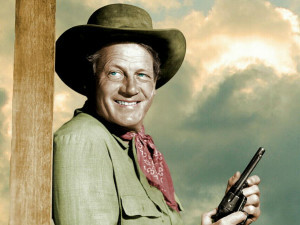 As the Civil War draws to an end, Confederate scout Joel McCrea helps a wagon train laden with secret gold make its way back up the Santa Fe Trail. *Westward the Women—Robert Taylor (1951; Dir: William Wellman). 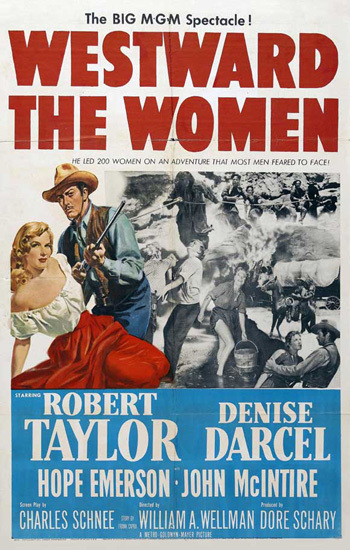 Robert Taylor is the wagon master taking a train full of women to California to find new lives and new husbands in this surprisingly good western. 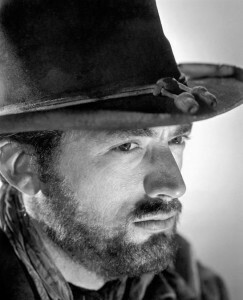 Passage West–John Payne (1951; Dir: Lewis R. Foster). 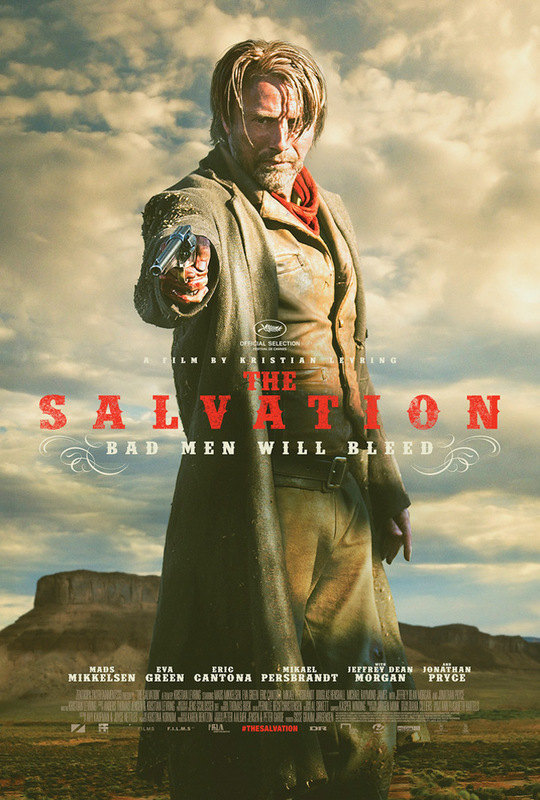 In 1863, six convicts led by John Payne escape from a Salt Lake prison and take over a wagon train headed to California across the desert. *Bend of the River—James Stewart (1952; Dir: Anthony Mann). 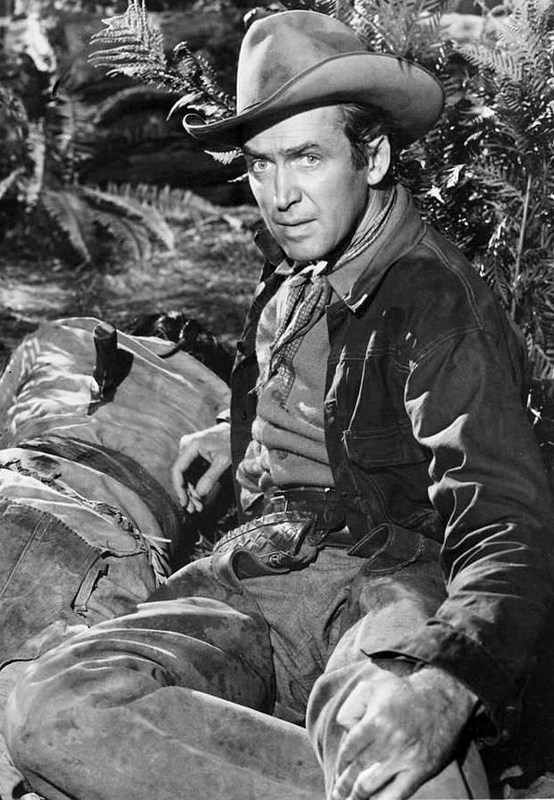 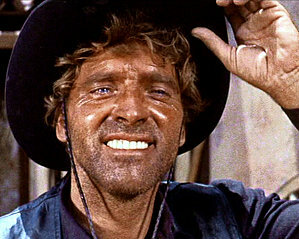 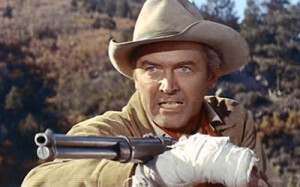 Former Missouri border ruffian James Stewart leads a wagon train to their Oregon destination against considerable odds. 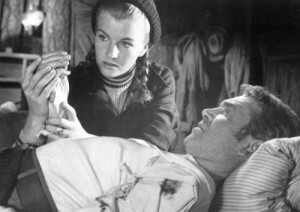 Jubilee Trail–Vera Ralston, Joan Leslie, Forrest Tucker (1954; Dir: Joseph Kane). 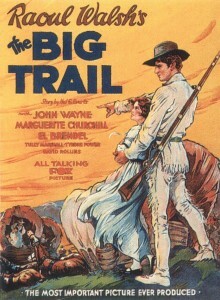 A trader and his New York bride encounter his former lover and illegitimate child on the trail westward to California. 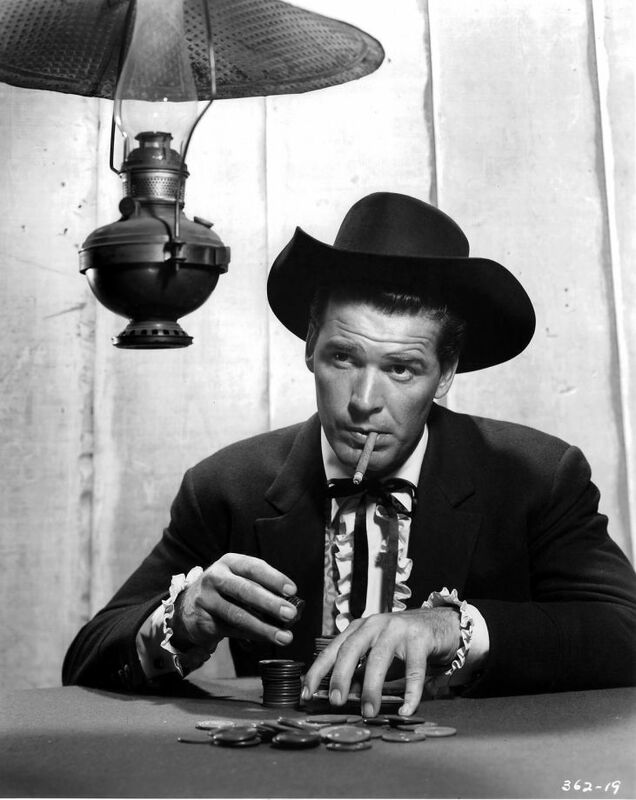 Arrow in the Dust–Sterling Hayden (1954; Dir: Lesley Selander). Fake cavalry officer Sterling Hayden fights off Indians while trying to get a wagon train to Fort Laramie. 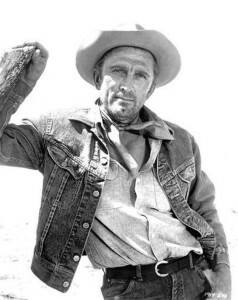 The Indian Fighter—Kirk Douglas (1955; Dir: Andre DeToth) Scout Kirk Douglas romances Indian maiden Elsa Martinelli and has his loyalties questioned. 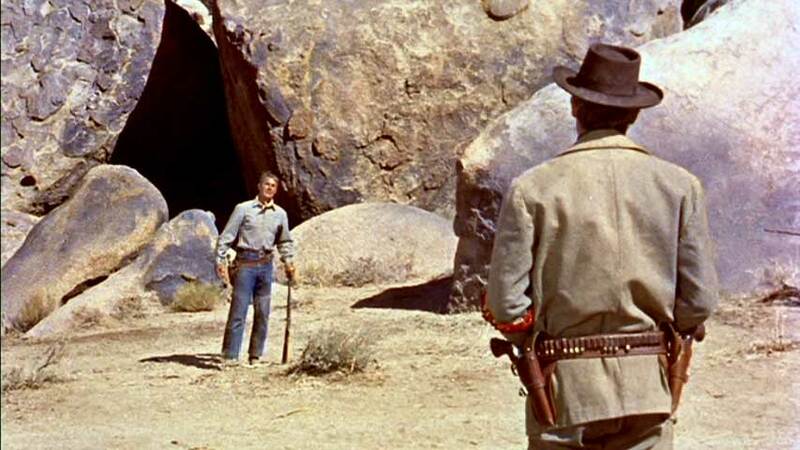 The Last Wagon—Richard Widmark (1956; Dir: Delmer Daves). 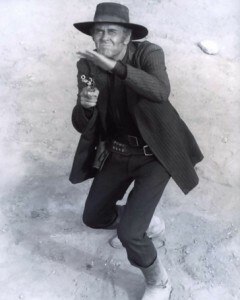 Most of the wagon train has been wiped out by Indians, but luckily the few young survivors have Richard Widmark to get them through inhospitable terrain. 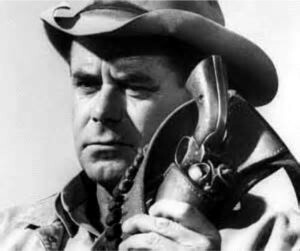 The Tall Stranger–Joel McCrea (1957; Dir: Thomas Carr). 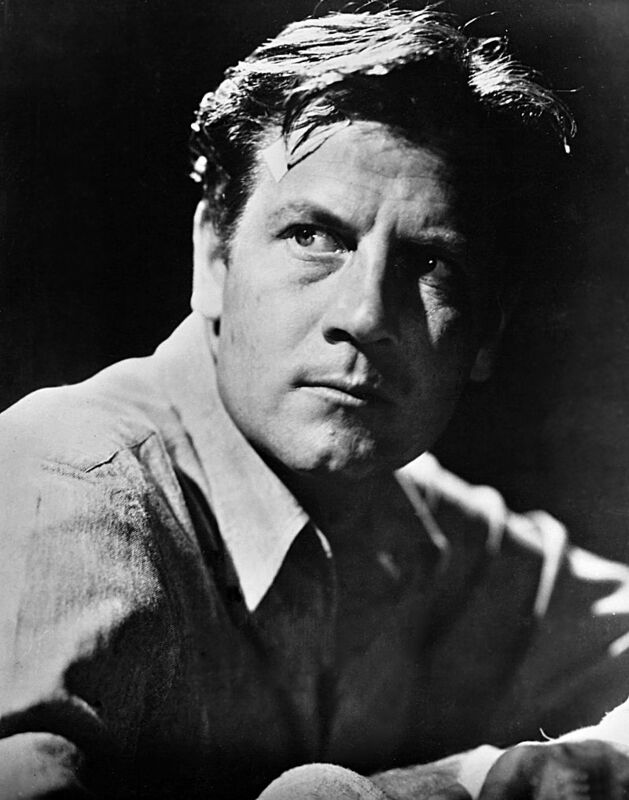 Returning from the Civil War to his brother’s valley in Colorado, Joel McCrea encounters a wagon train led by a land-grabber and rustler. But on the good side, it has Virginia Mayo. The Oregon Trail–Fred MacMurray (1959; Dir: Gene Fowler, Jr.). 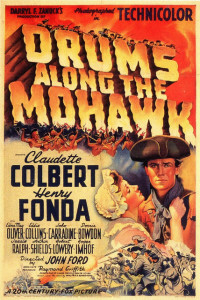 In 1846 reporter Fred MacMurray heads west with a wagon train, encountering Indians both hostile and friendly (Gloria Talbot). Thunder in the Sun–Susan Hayward, Jeff Chandler (1959; Dir: Russell Rouse). 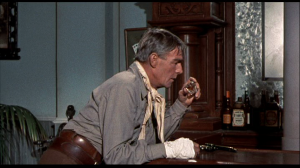 A group of French Basque immigrants make their way across the country to California in 1850, with the guidance of old scout Jeff Chandler..
How the West Was Won (1962; Dir: Henry Hathaway et al.). A large-scale epic with a little of everything, including wagon trains. The Way West—Kirk Douglas, Robert Mitchum, Richard Widmark (1967; Dir: Andrew McLaglen). 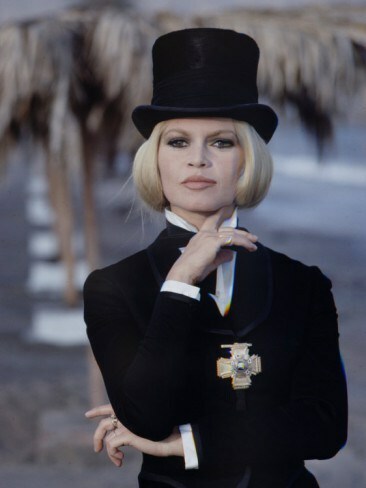 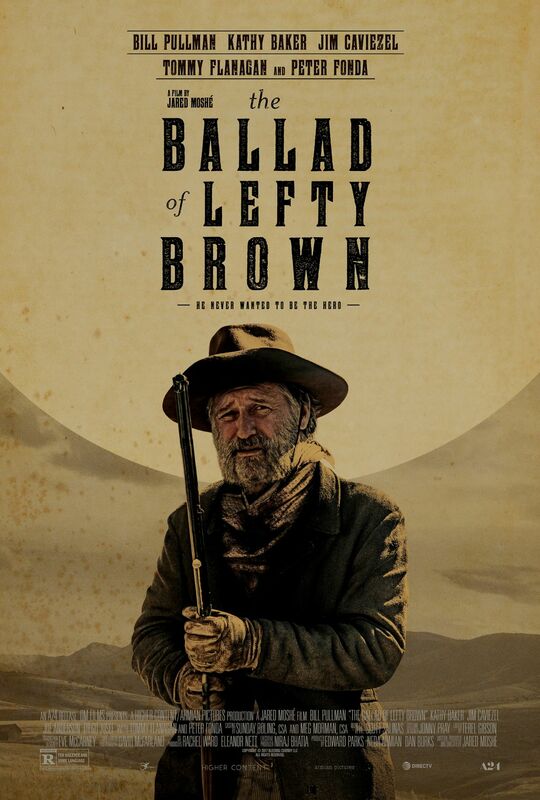 A glossy Hollywood version of the A.B. Guthrie novel about the first wagon train headed west to Oregon’s Willamette Valley in 1843, featuring a mountain man character from his earlier novel The Big Sky. 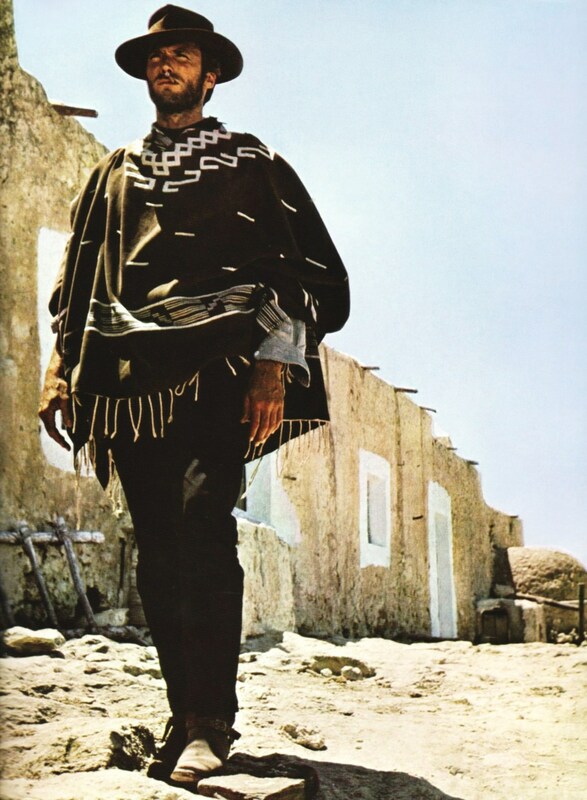 Buck and the Preacher–Sidney Poitier, Harry Belafonte (1972; Dir: Sidney Poitier). 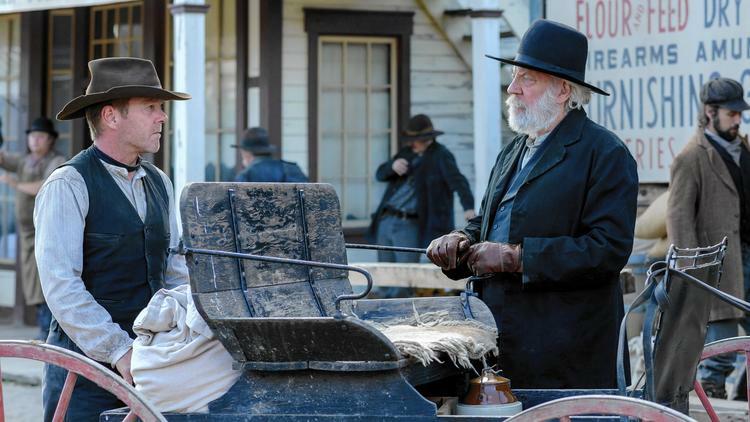 A former slave and buffalo soldier, Sidney Poitier now guides wagon trains of blacks headed west. 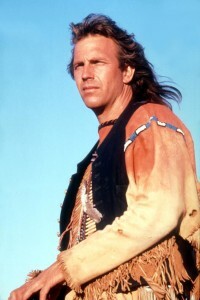 But they have to fight off night riders and those who would head them back to the south. *Silverado (1985; Dir: Lawrence Kasdan). 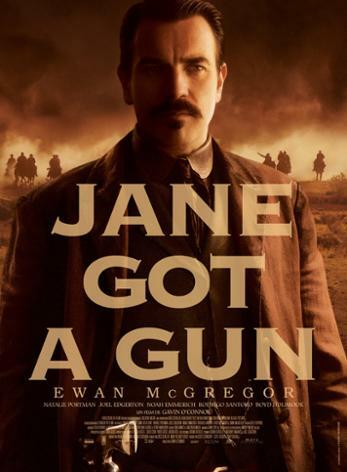 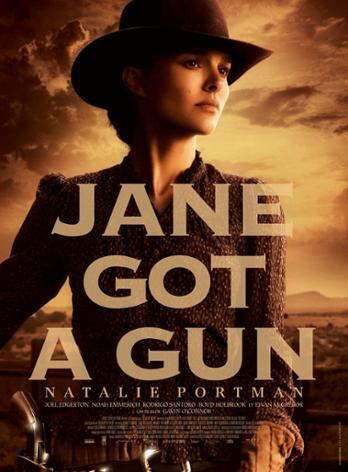 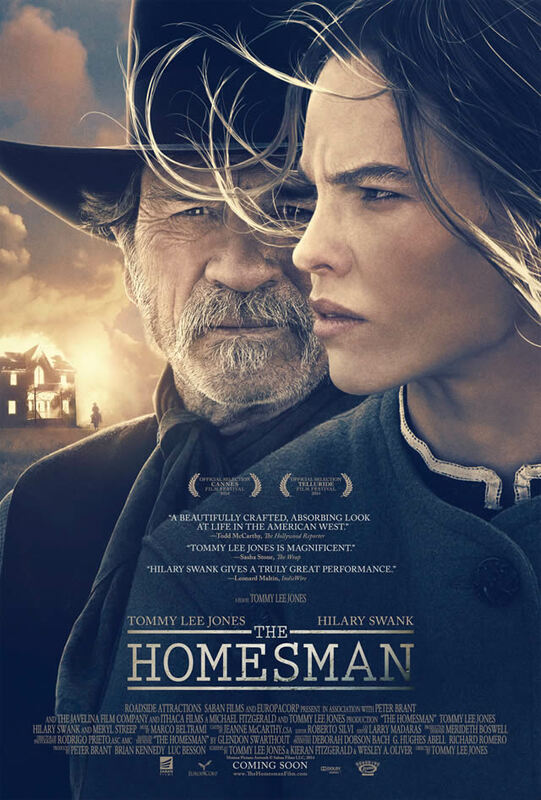 Most elements of traditional westerns, including a wagon train of emigrants, show up in this entertaining modern western. 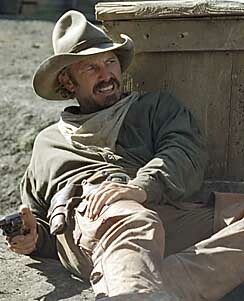 Wagons East (1994). 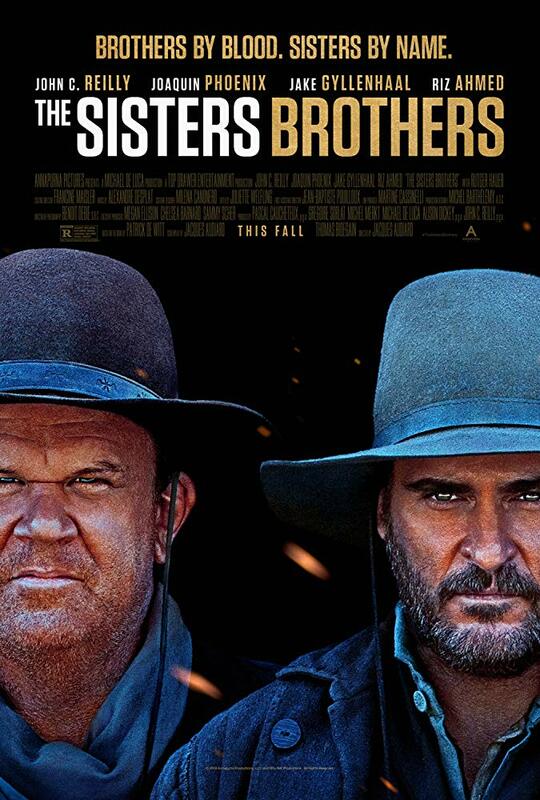 Western comedy starring John Candy and Richard Lewis, with a wagon train heading back to civilization. 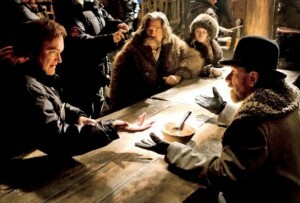 The Donner Party (2009). 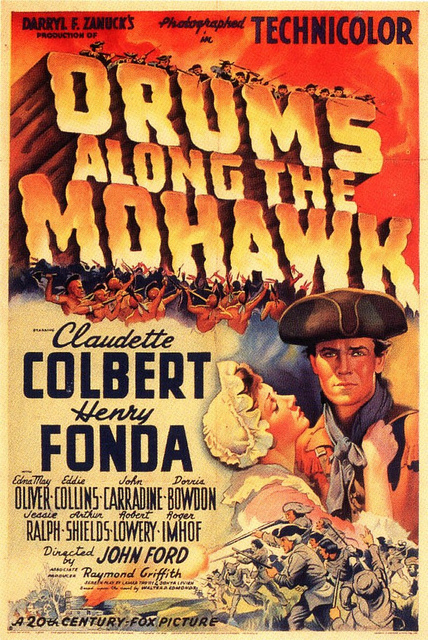 A cinematic version of the story of the doomed emigrant party now remembered principally for cannibalism when it was snowbound in the Sierra Nevadas. 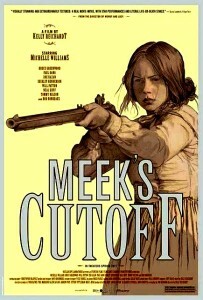 Meek’s Cutoff (2011). 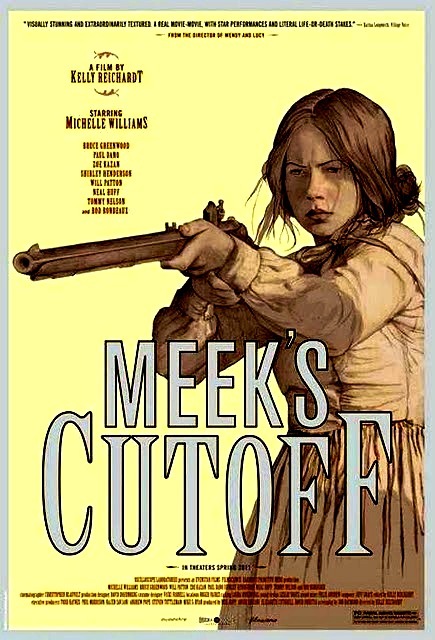 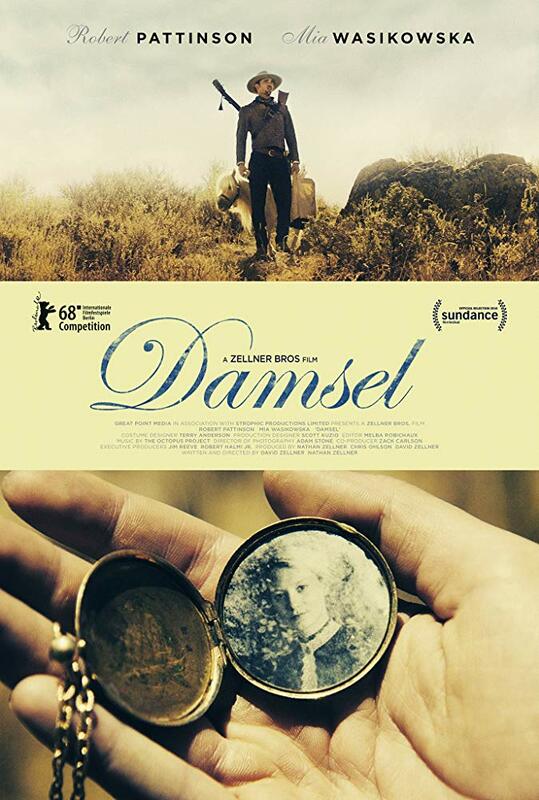 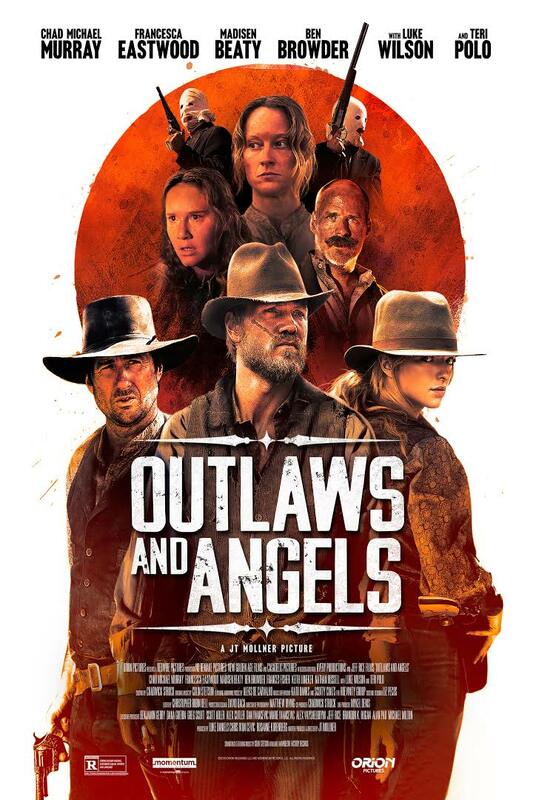 A wagon train is misled in Oregon by a feckless mountain man-scout but rescued by strong-minded women (especially Michelle Williams) in this fact-based feminist drama. This entry was posted in Lists and tagged Wagon Trains on December 26, 2014 by Nicholas Chennault.